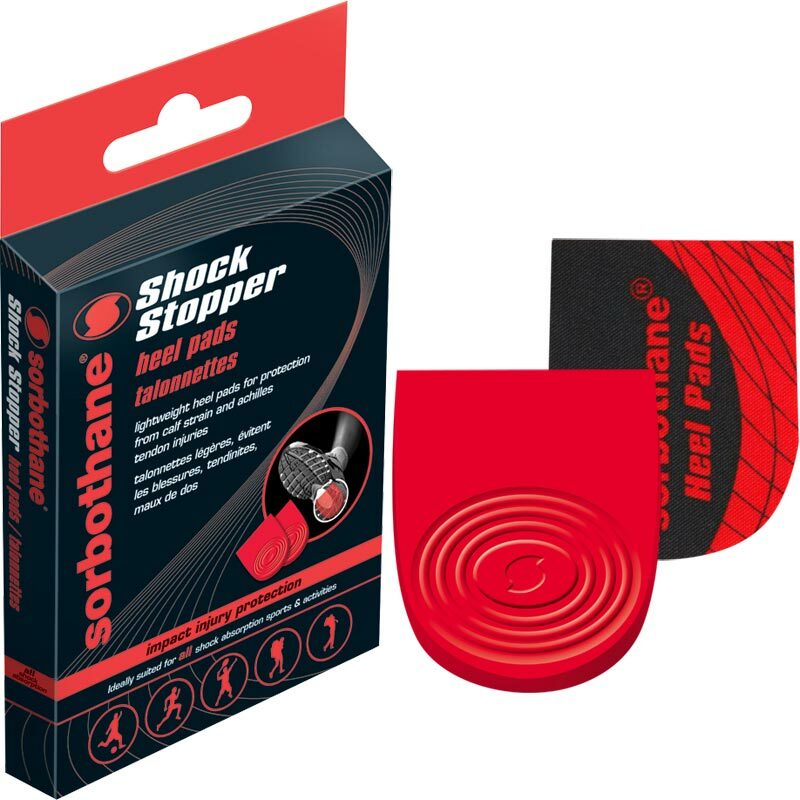 Sorbothane ® Shock Stopper Sports Heel Pads are lightweight heel pads for protection from calf strain and achilles tendon injuries. Helps relieve calf strain and achilles tendon injuries. Eases fatigue as well as discomfort after long periods of standing or walking. 3 out of 5 Needs more stick, but good product. Great product, just what we were after for our daughter who does a lot of gymnastics and suffers from sore heels. However, not as sticky as we would have hoped. Would still recommend though.